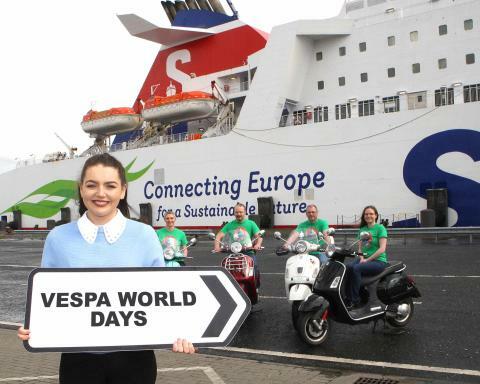 NORTHERN Ireland’s leading ferry company Stena Line has been unveiled as the headline sponsor for Vespa World Days (VWD) which takes place at Titanic Quarter, Belfast from June 14 to 17, 2018. 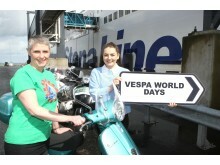 Approximately 3,000 Vespa riders are expected to attend the event from over 40 countries around the world. This unique event is hosted in a different country each year and previous locations have included Germany, France, Belgium and Italy. 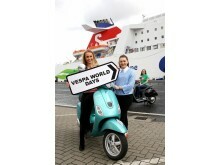 A Vespa Village will be set up in the Titanic Quarter and will include a range of attractions and events including a Vespa Museum which is a must-see for enthusiasts and will house vintage, modern and custom Vespa which belong to local owners. 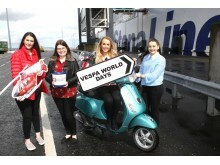 “We are delighted to be a part of this wonderful event and look forward to enjoying the public’s reactions as they take in all the exciting things to see and do at the Vespa Village at Titanic as well as an array of local products, plus lots of entertainment. 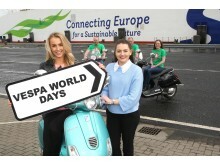 “During the evenings there will be local bands and DJ’s and on the Saturday night the Famous Vespa World Days Food and Friendship Night will take place. “This is the first time that Northern Ireland has hosted the event and we’re sure that it will be an experience to remember! We’re also pleased that local charities such as the Air Ambulance NI and East Belfast Mission are getting involved as all proceeds raised from the event will go to them,” added Orla. Stena Line is the Irish Sea’s leading ferry company offering the biggest fleet and the widest choice of routes between Ireland and Britain. Stena Line offer great onboard facilities such as free movies, free Wi-Fi, amazing value onboard shopping, luxury Stena Plus lounge, en-suite cabins, children’s play areas, the new Hygge Recline Lounge and a choice of places to dine including a Barista Coffee House and Met Bar and Grill.